Inspired by the beautiful gardens of Southern mansions, the Gardman Metal Charleston Arch is sure to enhance the look of your landscaping. 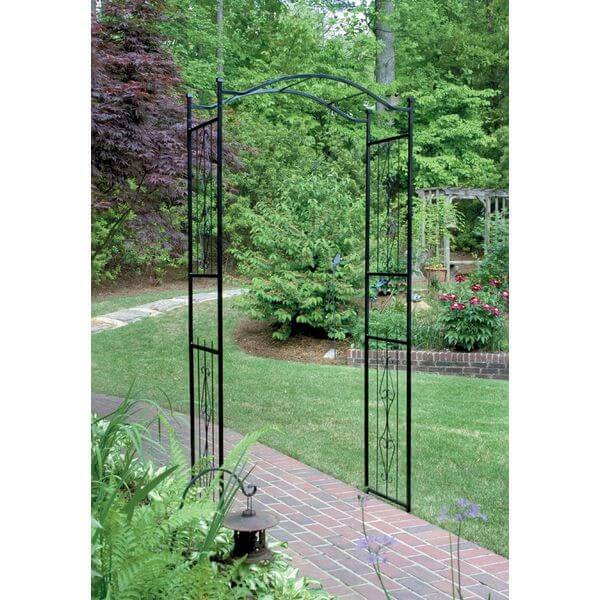 Its black polyester epoxy coating helps to ensure weather resistance, and the arch is shipped with a hole maker to make setting up the trellis as easy as possible. 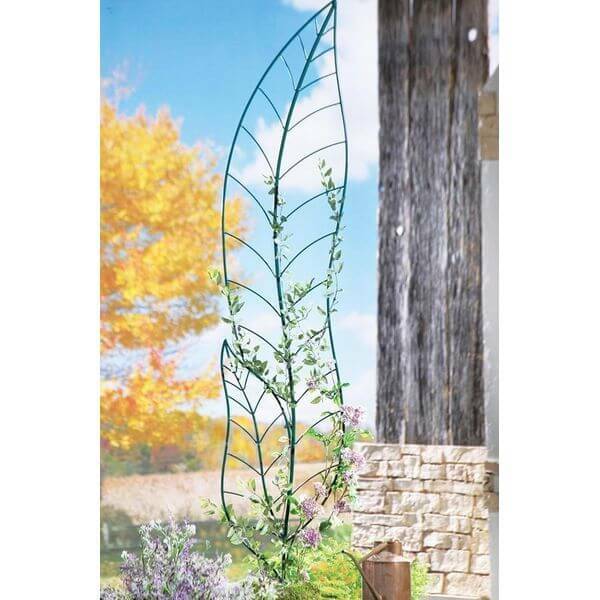 While you wait for your climbing vine or plant to grow, the Panacea Giant Metal Trellis will already be enhancing the beauty of your landscaping with its lovely design. The diamond-shaped grid is as functional as it is fashionable, as it is strong enough to support even the heaviest of plants and vines. 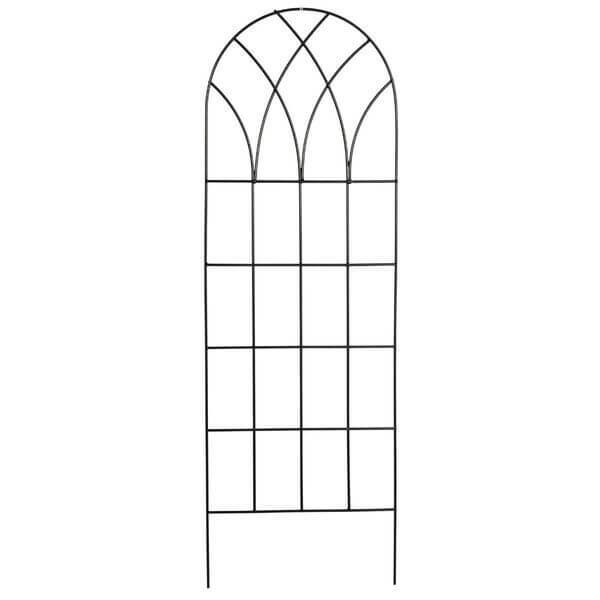 Inspired by the grandeur of Gothic cathedrals, the Gardman Gothic Trellis Panel brings beauty to gardens and allows vines and climbing plants to grow attractively. Crafted out of premium steel, the single trellis panel is finished with a weather-resistant powder coating to ensure durability year after year. 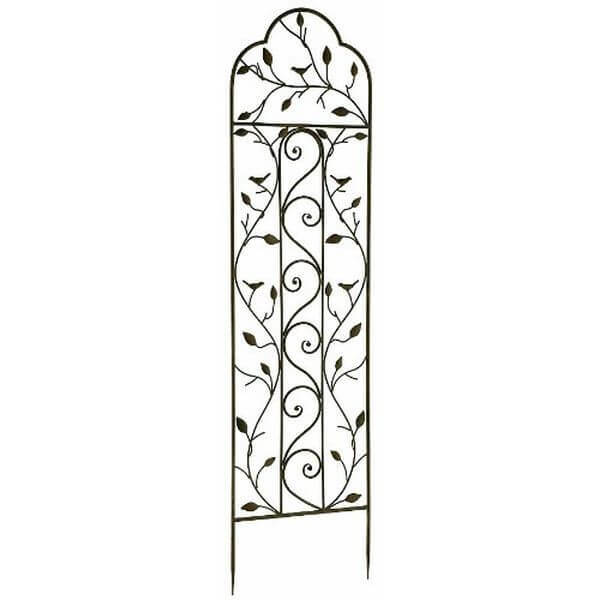 The Gardman Nature Trellis will add charm to any garden with its lovely design that includes elegant scrolls, wavy vines with leaves and petite birds all made out of heavy-duty welded steel. Measuring 15 inches by 60 inches, the large trellis has been distressed to give it an aged appearance. Leafy vines and plants are free to grow along this 14.25-inch by 72-inch leaf! The Metal Leaf Trellis is a functional plant trellis with an imaginative design inspired by nature. To add to the look of the design, the metal has been finished with a weatherproof powder coating in leaf green. Even without a plant growing along its surface, the Gardman Nature Metal Trellis is simply breathtaking. 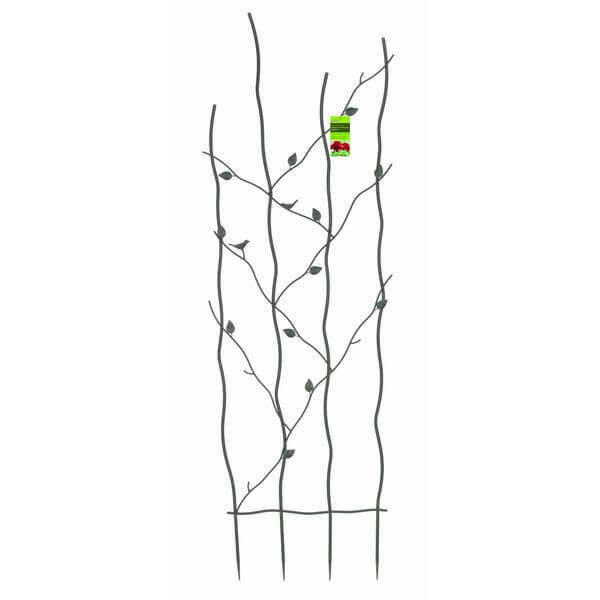 The steel metal rods of this unique trellis have been designed to resemble tree branches, and they are accented by diagonal metal twigs, petite leaves and sweet three-dimensional birds. 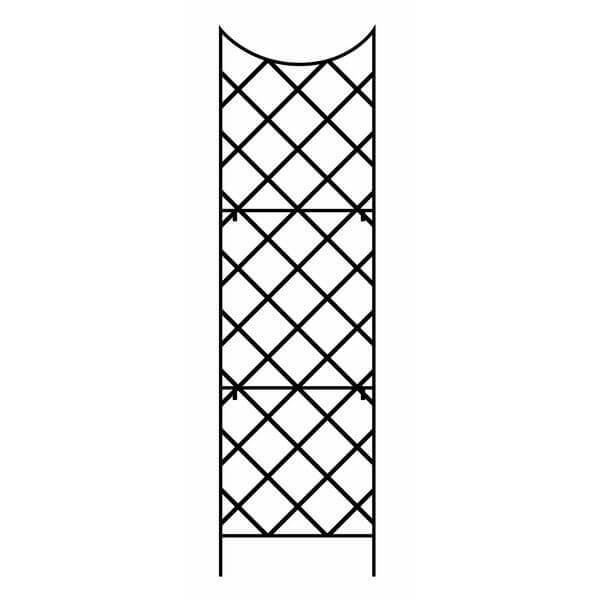 Welded construction ensures that the trellis is as strong as it is stylish.